We left Siquijor Port to Dumaguete Port late in the afternoon for the last ferry trip. We already arranged a place to stay in Dumaguete, but the trike driver was kind enough to help us find one with cheaper rates. Unfortunately, all the hotels around the city were fully booked, good thing we we’re able to book one beforehand. We stayed in Harold’s Mansion, one of the oldest hostels in the city. It is a great place for backpackers as they offer cheaper rates which includes local breakfast buffet. Not bad for travelers with tight budget! We weren’t able to avail the free breakfast from the hotel as our call time was as early as 4am. From the hotel, we took a trike to the bus terminal to catch the first trip bound for Bais, Negros Oriental. We reached Bais by sunrise, and there were trike drivers along road as early as 6 in the morning waiting for tourists going to the port. It was still low tide when we got to the port which required us to walk in a muddy shore to reach the boat. It was only a quick 15mins to reach the pristine 7km stretch of premium white sand and we’re lucky to be the first ones to arrive. We got this piece of heaven all to ourselves! What to do when you have the sandbar on your own? SELFIE! There were some fishermen who sells fresh seafood for a cheaper price. Our first stop was Casaroro Falls. It is a 20min trike ride from the town proper. From the arched entrance, there is a 20min walk down a 300-step stairway. Sounds easy right? Nah! 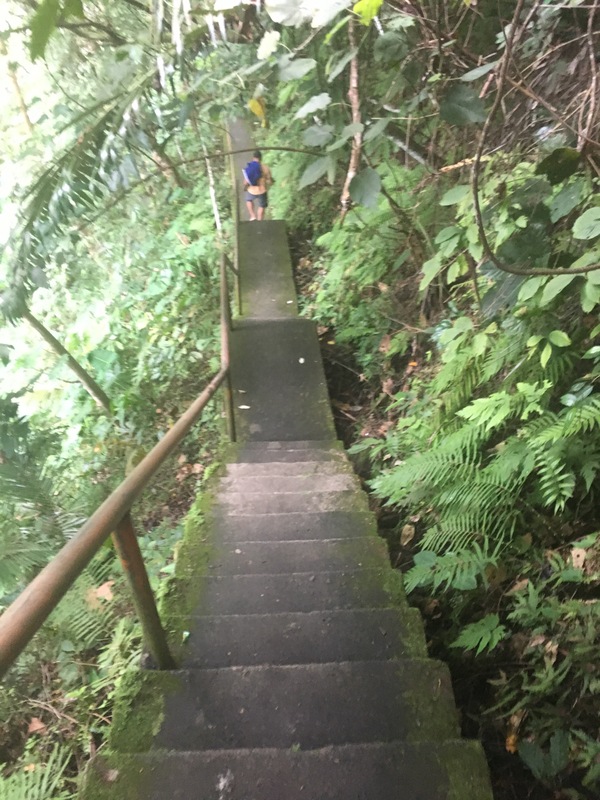 At the foot of the stairway, you have to endure 20-30 minutes of trek through a muddy and rocky terrain scattered with boulders of every shape and size. According to the locals, Casaroro falls can be easily accessed before, as there is a concrete pathway to the falls. But Negros Oriental was hit by a strong typhoon Sendong way back 2011 and the local government haven’t got the chance to rebuild another one. 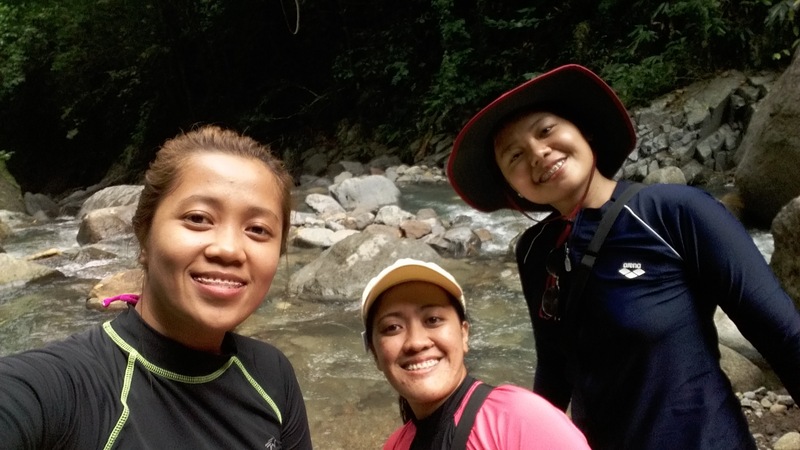 The next destination was Pulang Bato Twin falls. For this, we needed to travel for half an hour by habal-habal to reach another hidden gem of Negros Oriental. No long walk/trek this time as we reached the entrance, the first falls is just some steps away. The second falls is somehow challenging as there is again some slippery rocks all the way to the falls but there is a bamboo pathway to get across the other side. A Filipino model/artist also visited here and I didn’t miss the chance to take a picture too. haha! Chasing the sunset, we left the Pulang Bato falls to Red Rock Hot Spring, which is just 10mins drive from the falls. There, we savor the rejuvenating hot spring as we relaxed ourselves from the tiring activities. We also met a friendly Korean tourist. She’s been to Philippines countless time especially in Boracay which is her favorite beach. Buti pa siya nakarating na dun. haha! As agreed, they dropped us in our hotel, bid our goodbyes to them and went straight to our rooms to wash up. We planned on having a massage on our last night as we will travel to Cebu the following evening. We woke up a bit later than the usual, I blame the massage because of this haha! And for the first time, we had a chance to try the hotel’s local breakfast buffet! The weather was gloomy that day, and it finally poured on our way to the island. It was an hour of rough travel to reach the magnificent island. As expected, the island was full of tourist , mostly chinese as it is Chinese new year holiday. There were hammocks and beach umbrellas along the beach; cafeterias which offers different variety of pinoy dishes and refreshments. In one side, you can easily notice a bunch of locals wearing uniform, waiting for their name to be called. The leader will assign them to different tourist for them to guide as the government has required tourist to hire local guides while in the island. We dipped in the cold water while it rains heavily, hoping to see turtles up close. There, the turtles are protected by the locals. There are parts of the ocean which have boundary which tourists are not allowed to cross. Our first attempt was a fail, we saw one but it quickly went beyond the ropes 😦 After having our snack, we returned for another shot to find turtles, and luckily, we found not one, but two turtles! These two are fast swimmers and its quite difficult to catch up on them and get a decent picture. But patience is indeed a virtue. Our journey going back was worse, as the rain poured heavily this time. Good thing we have our waterproof bags 🙂 We traveled back to the city by jeepney, and you know you’re in Philippines if the driver/conductor fits almost everyone in a small jeepney. Some are literally sitting on the floor and the driver still picks up passengers on every corner! haha! One of things that makes Pinas more fun! 🙂 We freshen up and packed our things on the hotel (we only paid Php500.00 for the 4hour late check out, would you believe that?) and had a quick bite on the famous restaurant in Dumaguete. their gourmet dish is a must try, too!